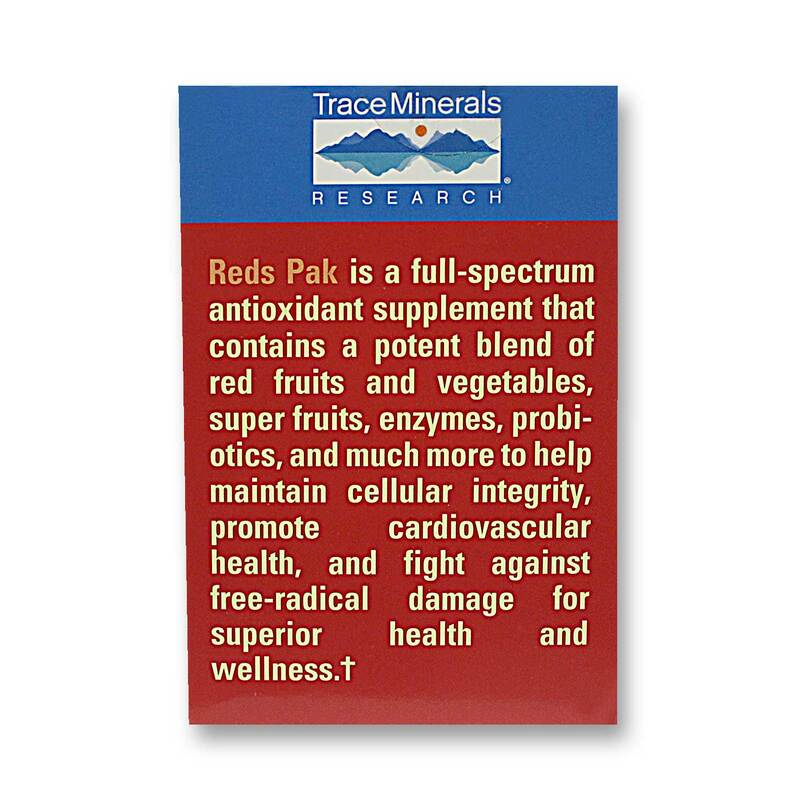 Reds Pakis a full-spectrum antioxidant supplement of energy-packed whole foods and extracts, super fruits, vegetables, and other essential nutrients for superior health. 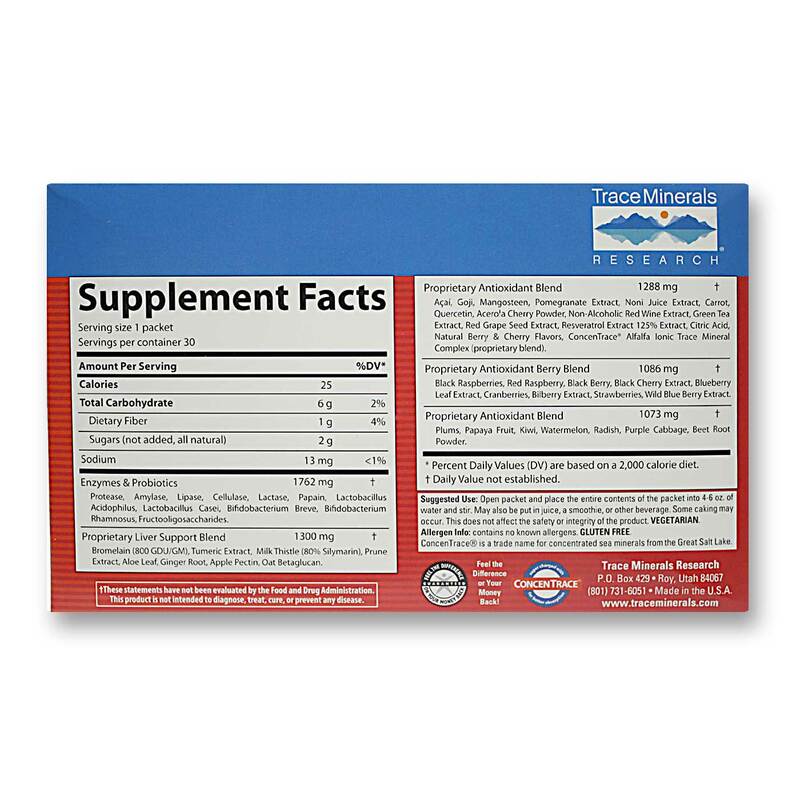 Reds Pak is designed to help maintain cellular integrity, promote cardiovascular health and immune system function, provide increased energy, support healthy digestion, and fight against free-radical damage. 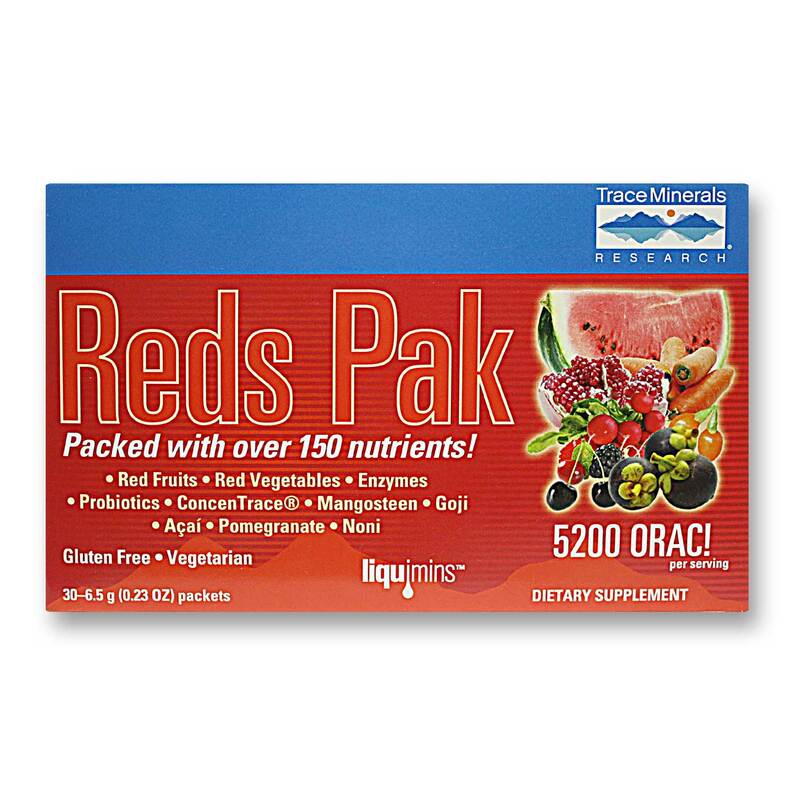 Reds Pak features antioxidant-rich super fruits like acai, goji, and mangosteen that contain powerful phytonutrients like xanthones and polyphenols, which are potent antioxidants that fight roaming free radicals in the body for increased cellular integrity and function. Nutrients in these super fruits may also help support healthy immune system function, and increase energy as a part of the diet, and much more. Reds Pak also contains a Proprietary Liver Support Blend and an Enzymes & Probiotics Blend that work together to support healthy digestion and aid in the processing and elimination of harmful toxins. 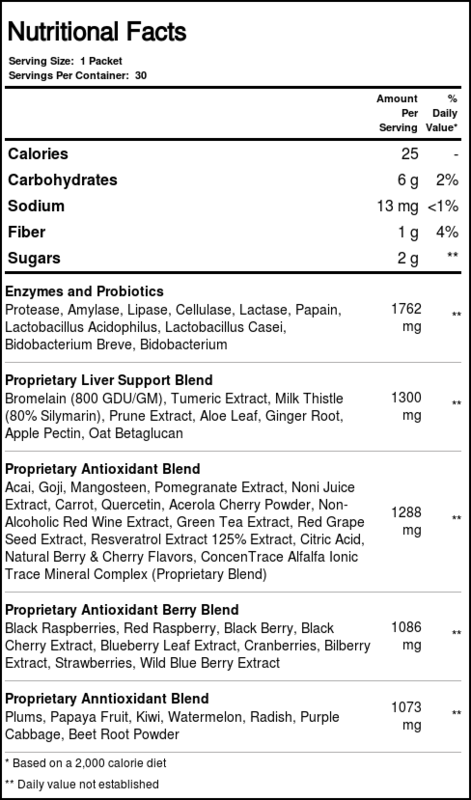 The digestive enzymes help break down macronutrients for absorption while the probiotics help boost production of the beneficial cultures that naturally reside in the digestive tract for good gut flora and healthy bacterial balance of the intestines. Advertências: Some caking may occur. This does not affect the safety or integrity of the product. Notas: Contains No Known Allergens. Gluten free. Vegetarian. Recomendações de uso: Open packet and place the entire contents of the packet into 4-6 oz. of water and stir. May also be put in juice, a smoothie, or other beverage.